Archbishop Jose H. Gomez, archbishop of Los Angeles, gets an enthusiastic show of hands during his talk at a Catholic Life Congress session Nov. 17 at the Sheraton Center City Hotel, Philadelphia. 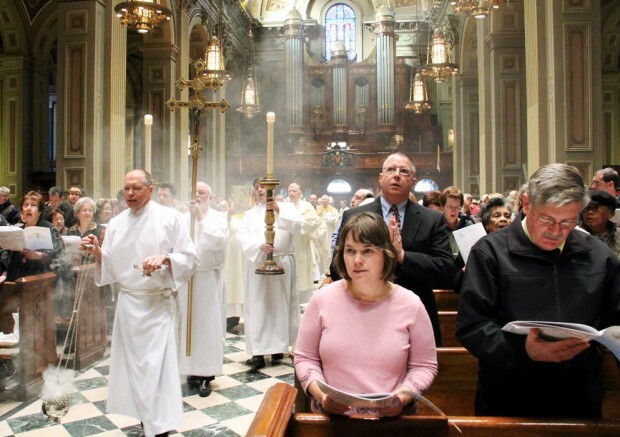 This year’s archdiocesan Catholic Life Congress held Nov. 17 at the Cathedral Basilica of SS. Peter and Paul and the Center City Sheraton Hotel had a distinct western flavor. Archbishop Charles Chaput, the celebrant of the opening liturgy, came to us of course by way of Rapid City and Denver. 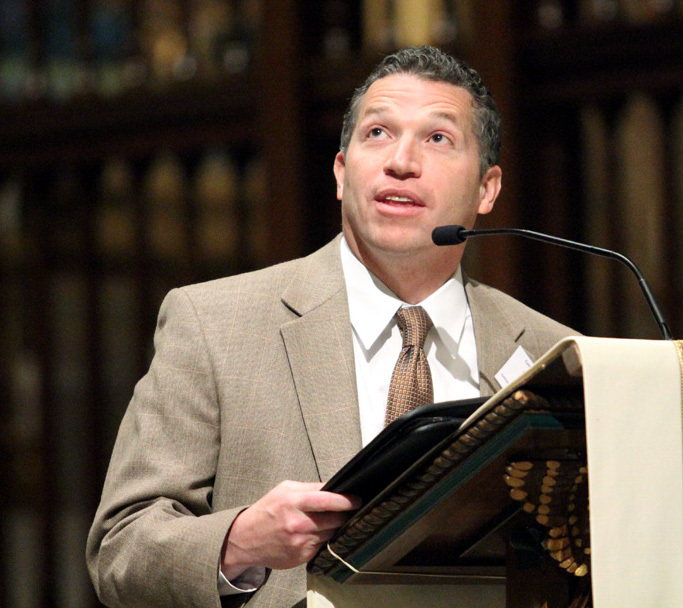 The English keynote was given by Dr. Jonathan Reyes, a founder of the Augustine Institute and currently Denver’s president of Catholic Charities and executive director of Social Ministries. In December he will take up duties as executive director of the U.S. Bishops’ Department of Justice, Peace and Human Development in Washington. 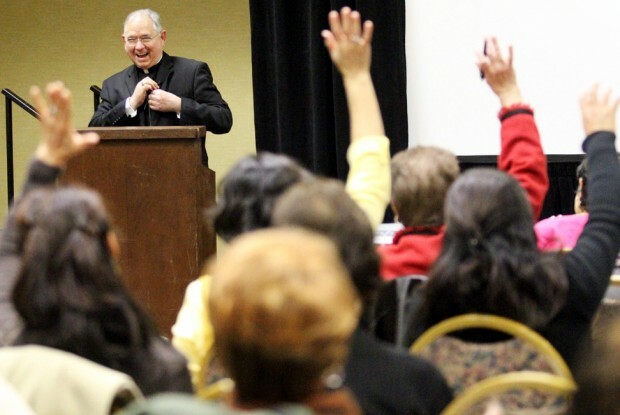 Los Angeles Archbishop Jose H. Gomez, who gave the Spanish keynote address, has Mexican and Texan roots and is a former auxiliary bishop of Denver. In a message to the more than 700 teachers and catechists who attended the Congress, Archbishop Chaput said, “The Second Vatican Council, which began its work exactly 50 years ago this fall, reminded us that Jesus founded His Church to be a lumen gentium – a ‘light to the nations.’ At baptism each of us becomes part of that light. Nobody can really follow Jesus Christ without also preaching and teaching Christ to the world around us. In his keynote, Reyes described the Year of Faith as a “genuine Catholic moment.” Yes, he conceded our Church has been through some rather trying news and “the Church of Philadelphia makes the news regularly,” and there are worries about religious freedom here and abroad. During his English conference, Archbishop Gomez spoke of how he was struck by the universality of the Church during his October participation in Rome at the synod of bishops on the New Evangelization for the transmission of the Christian faith. Dr. Jonathan Reyes delivers the keynote speech at Catholic Life Congress in Philadelphia. But then he is used to diversity. His huge archdiocese, with 5 million Catholics — Philadelphia has 1.4 million — has Mass celebrated in 42 languages, he noted. As always, teachers and catechists from throughout the archdiocese were at the Congress. One of the largest groups came from Blessed Teresa of Calcutta Education Center in Limerick and included most of the teachers and about 24 catechists, according to school principal Jane Merritt. In all there were 14 speakers at the various conferences. Auxiliary Bishop John McIntyre was the homilist at the opening Mass. The congress, which also featured exhibitors from various ministries, was held under the auspices of the archdiocesan Office for Life, Family and Laity.